This year, on Saturday September 20th, we will again have a walk from Hollywood to Church Mountain, just outside the village. 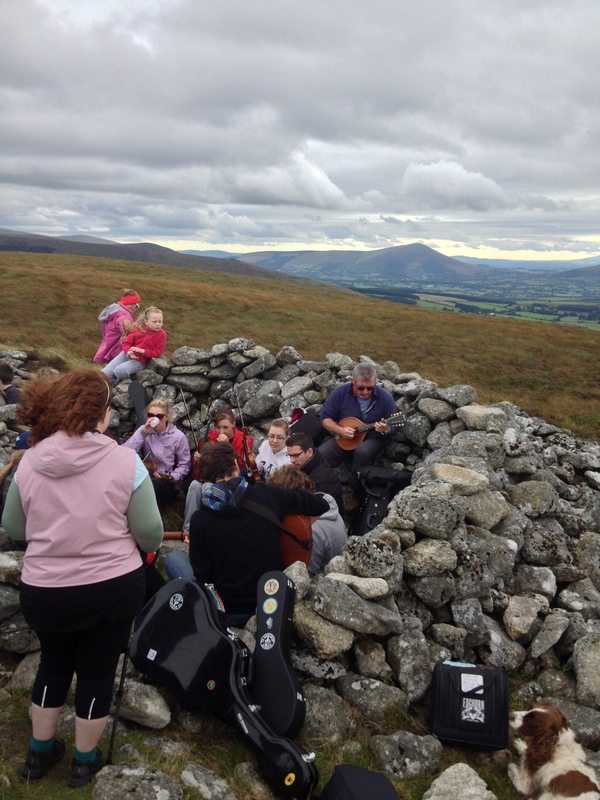 Last years walk was a great success and turned out to be one of the highlights of the festival and a memorable event overall with music being played at the peak of the mountain. Refreshments will again be provided at the top through the kind support of Kenny’s Supervalu, Blessington. Registration for the walk will be in the village at 12 noon, keeping in with the festivals aim to support the Laura Greaves Music Bursary a €5 donation will be requested of those taking part. As can be seen from the above photos this is a truly unique setting for a session. 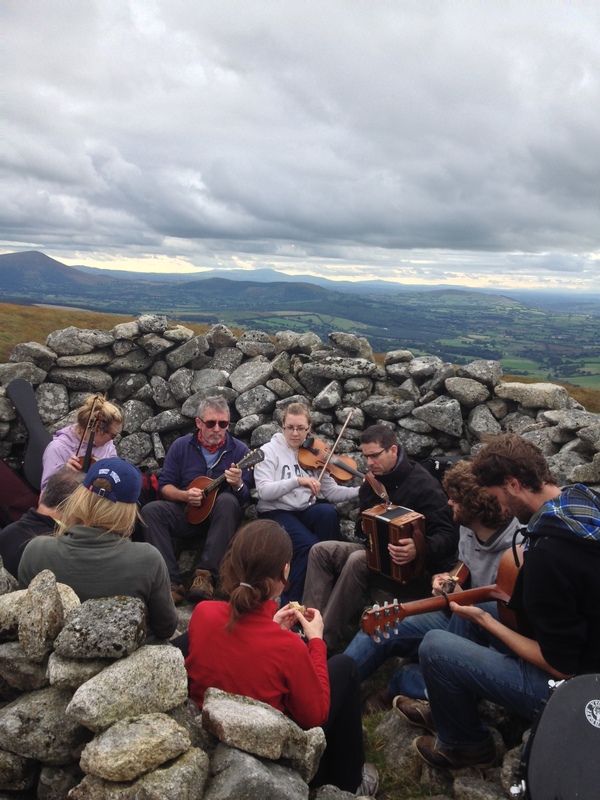 All those attending are most welcome to bring an instrument for some more high altitude tunes! And if that wasn’t enough to whet the appetite, check out this clip from last year!